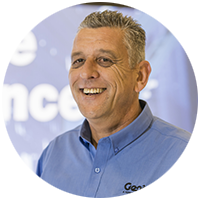 The Australian non-residential construction sector is set for an industrious year in 2018, according to Australian elevated work platforms leader Genie, a Terex brand (NYSE: TEX). “In Sydney, WestConnex, NorthConnex and the Sydney Metro City & Southwest train line will drive demand for EWP equipment in 2018, while early preparations for the Western Sydney Airport at Badgerys Creek are underway,” said Kurt Kinder, Genie National Sales Manager, Terex Australia. 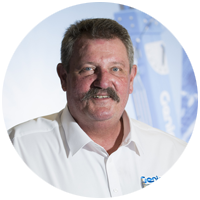 Sydney’s level of development will remain high in 2018, believes Brent Markwell, Genie Regional Sales Manager NSW/ACT, Terex Australia. “According to one recent industry report, there’s currently $30 billion of non-residential and engineering construction projects proceeding in Sydney,” he said. 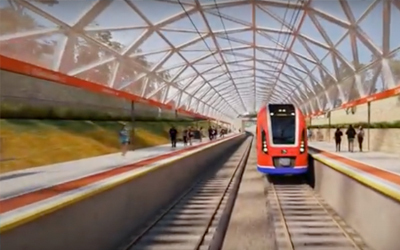 Major infrastructure projects for the NSW capital include the $3 billion NorthConnex tunnel, the WestConnex motorway, and the $8.3 billion Sydney Metro Northwest rail link. The 30 kilometre Sydney Metro City & Southwest train line is another major infrastructure development. This project will extend from Chatswood on Sydney’s North Shore to Bankstown in the city's south-west. 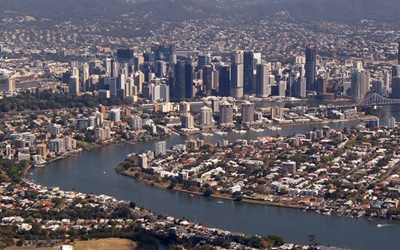 It will include a 15.5 km tunnel rail crossing under Sydney Harbour to Sydenham. 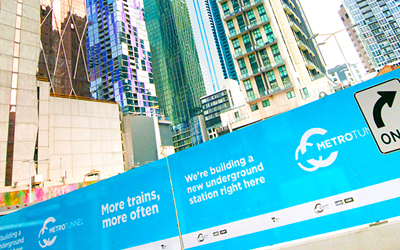 “The new line will provide for stations in the Sydney CBD with stops at Barangaroo, Martin Place, Pitt Street and Central Station and the construction costs will exceed those of the Sydney Metro Northwest,” said Mr Markwell. The second Sydney Airport at Badgerys Creek will also underpin the non-residential construction sector for many years to come, noted Mr Markwell. The Australian Government is investing up to $5.3 billion in equity to deliver the airport. Mr Markwell, said, “Badgerys Creek and its surrounding area are virtually a blank canvas, and apart from building the airport, road and rail infrastructure into the airport must be built, as well as hotels, motels, shopping precincts and even an oil refinery. Outside the capital, the Australian state and federal governments will spend $1 billion on infrastructure in Gosford, a regional city north of Sydney, by 2020. “This spend includes the Gosford City Centre Masterplan that identifies five major city precincts set for an exciting revitalization,” said Mr Markwell. The upgrades will allow for the provision of 40,000 new dwellings and the creation of 30,750 jobs in the next 15 years. 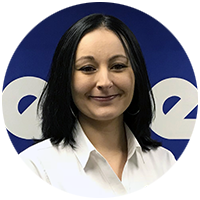 Non-residential construction is close to an eight-year peak in Victoria, a situation that will drive demand for AWP equipment to unprecedented levels in 2018 and beyond, according to David Greene, Genie Regional Sales Manager Victoria/Tasmania/South Australia. Melbourne is exploding with major works, including the Metro Rail Tunnel, a five-year project worth $11 billion, said Greene. The Metro Tunnel is aiming to provide a 'turn up and go' train service to Melbourne commuters comparable to London, New York, Hong Kong and Singapore. “A lot of access equipment will be used for this project, as they are tunneling under the city,” said Mr Greene. The Metro Rail Tunnel is part of a broader upgrade of Melbourne’s train systems that will continue until 2024, explained Mr Greene. 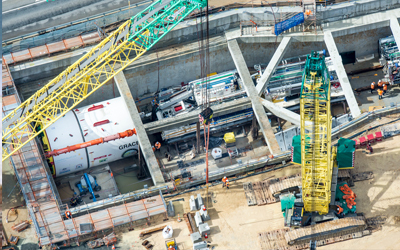 Other projects in Melbourne include the Westgate Tunnel that will run under the Westgate Bridge. As part of this development, the bridge is being strengthened and widened. The $6.7 billion four-year project will also include upgrades to the Monash Freeway and provide improved access to the Westgate Bridge, according to Mr Greene. Adelaide has enjoyed several years of government and non-government investment in projects such as the Adelaide Oval upgrade, Adelaide Entertainment Centre, Royal Adelaide Hospital and the South Road Elevated Superway. “This level of activity will continue in 2018, with $2.2 billion committed in the 2017-18 state budget to infrastructure improvements, the highest on record,” said Mr Greene. Another $1.5 billion for public transport will be invested, including $462.5 million to fund South Australia’s contribution to continuing the rail electrification from Salisbury to Gawler. South Australian roads will receive $1.9 billion over the forward estimates to continue major projects along the North-South corridor. Other significant initiatives, include $174 million to upgrade the Oaklands Crossing, by building a rail underpass under Diagonal Road, noted Mr Greene. The Commonwealth has committed $95 million towards this project. Other infrastructure projects include Stage 1 Main South Road duplication from Seaford to Sellicks Beach that will cost $100 million. There is also $415 million allocated to construct a link between Adelaide’s Pym Street and Regency Road. The City of Hobart is building a bridge across the Tasman Highway, from the city’s Cenotaph to the Domain in 2018. The bridge will provide a shared pedestrian/cyclist link. The shopping precinct in New Town Road, New Town will be upgraded, while the $22 million redevelopment of Doone Kennedy Hobart Aquatic Centre is due for completion by 2020, noted Mr Greene. Upgrades to coal, copper and zinc mines across Queensland due in part to stronger demand, is translating into more work for EWP equipment, according to Richard Gannon, Genie Regional Sales Manager QLD/NT/WA, Terex Australia. In Brisbane, the $3 billion Queen’s Wharf integrated resort and entertainment project will be the biggest construction project ever completed in Brisbane’s CBD with an expected finishing date of 2024. This project will include hotels, a casino, a retail and commercial precinct. It will also include public infrastructure projects; a pedestrian bridge, development of public space along Brisbane’s riverfront and repurposed heritage buildings. 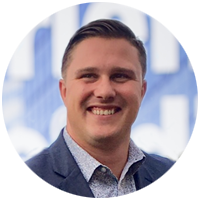 The outlook for the non-residential sector is robust with a $2 billion entertainment precinct development above the Roma Street Railway Station, a headline development, noted Mr Gannon. “The focal point of the precinct is a 17,000-seat arena for major concerts and sporting events,” he said. News Corporation Australia’s $2 billion urban regeneration development, Millennium Square in Bowen Hills, is a major project expected to start later in 2018, according to Mr Gannon. The first stage is a 44,000 square metre commercial tower that will accommodate The Courier Mail, The Sunday Mail, The Australian, Quest, News Regional Media and Sky News. “This project will take a few years to complete,” said Mr Gannon. Several vast infrastructure and commercial projects are underway in WA that will underpin the state’s non-residential construction sector in 2018, according to Mr Gannon. “In the 2017/18 state budget, the government pledged $1.3 billion for METRONET Stage 1 rail project, including the Thornlie-Cockburn Link and Yanchep Rail Extension,” said Mr Gannon. Other significant projects include the $237 million construction of the Armadale Road Bridge, as well as the $50 million traffic interchange at Wanneroo Road and Joondalup Drive. Mr Gannon added, “The state government is spending $49 million to widen the Kwinana Freeway between Russell Road and Roe Highway, along with a $40 million widening of the Mitchell Freeway between Cedric Street and Vincent Street. 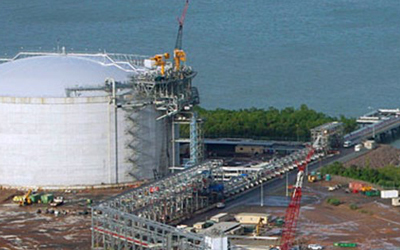 The $43 billion Ichthys LNG Project remains the single most significant driver of demand for access equipment in the Northern Territory, according to Mr Gannon. The construction of the $300 million Gateway Shopping Centre in Palmerston, a satellite city of Darwin, will continue in 2018. Other projects of note for 2018 include the $170 million Palmerston Regional Hospital, the first new public hospital built in the NT in almost 40 years. This will be completed in the first half of 2018 and there will be 300 new jobs created. 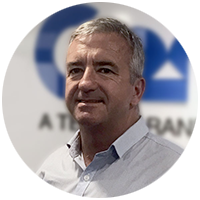 A change in government last year has changed the focus of civil infrastructure in New Zealand from the road to other forms of public transports such as rail, which is feeding demand for access equipment, according to Mike Podziewski, Genie Regional NSW/New Zealand Sales Manager, Terex Australia. The Auckland City Rail Link (CRL), a 3.4 km double-track underground rail line running beneath the central business district, illustrates the current transport focus. 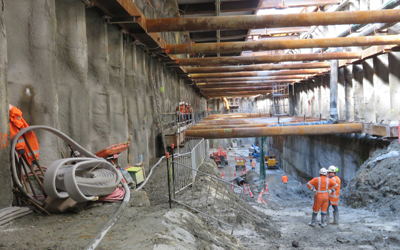 CRL will include two new underground stations in the CBD at Aotea and Karangahape. 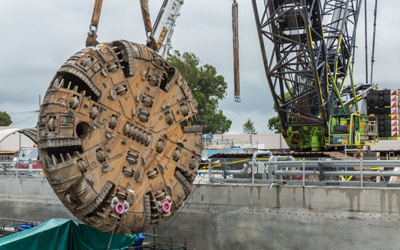 Due for completion by 2023/24, CRL has an estimated cost of around $NZ2.5 billion, and it will be one of New Zealand’s largest-ever transport projects, noted Mr Podziewski, and one of the nation’s first underground projects of its kind. Despite the focus on rail, roads aren’t being entirely overlooked, with the Roads of National Significance project continuing. The seven Roads of National Significance project is addressing urgent issues on roadways servicing five of the country's largest population centres. A vital part of the Wellington Northern Corridor 'roads of national significance’ is Transmission Gully, a 27-kilometre four-lane motorway running from Mackays Crossing to Linden, through Transmission Gully, said Mr Podziewski. As part of this project, four interchanges and two new link roads will connect the route to Mackays, SH58, eastern Porirua and Kenepuru. The Transmission Gully motorway is scheduled to be open for traffic in 2020 at an estimated cost of $NZ850 million. 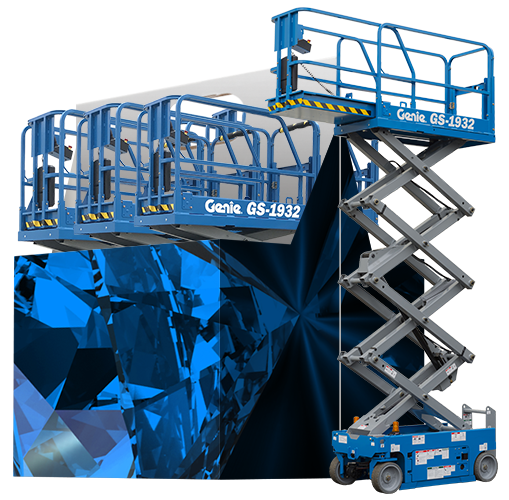 Take delivery of a super six pack of Genie GS-1932 scissor lifts and try our low document financing for orders under $100K.